The ongoing discovery of autism-associated genes is coinciding with an explosion in technologies for gene editing and an ever-improving capacity to deliver therapeutic genes to the brain. This convergence carries with it new hopes for unique genetic therapies for autism and other conditions with strong genetic underpinnings. But the success of genetic therapies is not guaranteed. Even if disrupted genes can be replaced, repaired or otherwise restored, the fix may come too late. Genetic therapies may need to be implemented before neural insults even arise. Perhaps the best way to tackle this concern is to attempt to treat an autism-related condition in which the therapeutic target — for instance, the causative gene — is discrete and well defined. Angelman syndrome is an ideal candidate. Angelman syndrome is a neurodevelopmental condition characterized by intellectual impairment and motor dysfunction. Although its features overlap with those of autism, unlike most other forms of autism, it is caused by the dysfunction of a single gene, UBE3A. Due to the unusual regulation of UBE3A expression in neurons, Angelman syndrome is uniquely amenable to a variety of therapeutic approaches, ranging from adding the UBE3A gene back into neurons to turning on a dormant copy of the gene. In the past few years, researchers have developed sensitive and reliable biomarkers that can be used to monitor the syndrome’s progression and a person’s response to treatment. And despite the condition’s low prevalence of about 1 in 12,000 people, the clinicians who treat the syndrome are a tight-knit group. There are registries of contact information for and data on individuals with Angelman syndrome that will facilitate clinical trials. This combination of factors makes Angelman syndrome exceptionally tractable for therapeutic intervention. A number of pharmaceutical companies have recognized these advantages and are actively advancing genetic therapies for the syndrome. It is not a matter of whether there will be clinical trials of genetic therapy for Angelman syndrome, but when. There are two main strategies for these therapies; each one has risks and benefits. Typically, only the maternal copy of the UBE3A gene is active in neurons; the copy that is inherited from the father is silenced during development. People with Angelman syndrome usually carry mutations in the maternal copy of the gene, leading to a near-complete loss of UBE3A activity in neurons. This rare situation suggests two strategies for restoring UBE3A function. The most direct approach is to introduce a healthy copy of UBE3A into neurons. This transfer could be achieved using adeno-associated viruses, which can carry new genes to cells. Other approaches involve unsilencing the dormant paternal copy of UBE3A. Adeno-associated viruses could be used to deliver genes encoding molecules that either destroy or block production of the RNA that silences paternal UBE3A. Small molecules and nucleotide fragments that bind to this RNA have already been shown to work — both in mice and in neurons derived from people with Angelman syndrome — suggesting that reactivation of paternal UBE3A is a viable approach1,2. Given these promising opportunities, clinical trials for genetic therapy in Angelman syndrome seem inevitable. Their success hinges on sufficient distribution in the brain and proper timing of drug delivery. Because UBE3A is expressed in almost all neurons, an ideal genetic therapy for Angelman syndrome would reach the entire brain. Unfortunately, small molecules, nucleotide fragments and viral genetic therapies are unlikely to reinstate UBE3A expression uniformly across the brain. Complicating matters, spatially biased reactivation of the gene could be worse than no reactivation at all. Our 2017 work demonstrates that selective reinstatement of UBE3A in excitatory, glutamatergic neurons worsens seizures in a mouse model of Angelman syndrome by boosting excitation in the brain. Introducing UBE3A into neurons that dampen brain activity can prevent the mice’s increased susceptibility to seizures. Although this is an extreme example, any strategy for genetic therapy would need to account for the cell types and brain regions in which UBE3A reinstatement is most likely to occur. Even if researchers achieve spatially unbiased therapeutic delivery, a sufficient proportion of neurons must re-express UBE3A to alleviate features of the syndrome. The minimal requirement is unclear, but studies of people missing UBE3A in only a subset of neurons indicate that expression of the gene in as little as 10 percent of cells can be therapeutic3. UBE3A expression is likely to be much more important during development than in adulthood. Accordingly, mouse studies indicate that reinstating the gene in an embryo or newborn maximizes the therapeutic benefit. Later intervention may fail to fully address the earliest emergent features of the syndrome, including motor problems. If begun early enough, genetic therapies for Angelman syndrome may not need to continue throughout life; targeting a critical window of development could be sufficient, although this window has yet to be defined. Small-molecule or nucleotide therapies, on the other hand, may require repeated administration to sustain paternal UBE3A unsilencing throughout a critical developmental window. Ongoing treatment sparks safety concerns such as toxicity and off-target effects. These concerns, however, are offset by the opportunity to adjust dosing and, if adverse consequences arise, to discontinue treatment. An unmutated copy of the UBE3A gene, once delivered, could not be turned off if it proved to produce harmfully high amounts of its protein product. And genetically delivered nucleases that destroy the silencing RNA could have off-target effects that accumulate over time. Furthermore, the viruses used to deliver these genetic therapies are likely to trigger an immune response, which would limit the ability to use them for any second-chance therapies. The fact that Angelman syndrome occurs early in life presents its own set of challenges. First, there are significant regulatory and safety concerns for treating children who have a non-life-threatening condition. Second, drug dosing and delivery is inherently more challenging in children than it is in adults, and toxicities often vary by age. And repeated dosing to sustain UBE3A activity could be particularly risky in children. However, repeated delivery of nucleotides to treat spinal muscular atrophy has proven safe for use, even in infants4. The key timing and drug-delivery requirements for therapeutic efficacy in Angelman syndrome apply to most neurodevelopmental conditions. So the results of the inevitable clinical trials for genetic Angelman therapies should help guide strategies for trials in other similar single-gene brain conditions. They may also serve as a bellwether for treating more genetically complex forms of autism. 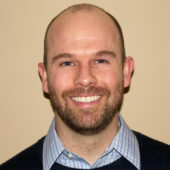 Matthew Judson is research associate in the UNC Neuroscience Center at the University of North Carolina at Chapel Hill. 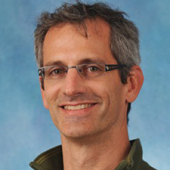 Benjamin Philpot is associate director of the center and professor of neuroscience at the university. Philpot has consulted for Alcobra, Ovid Therapeutics, Nestle Health Sciences, Roche and Biogen. His laboratory has had research subcontracts from Pfizer, Genzyme, and Neuralstem.